Rancho Monte Alegre - Flowers & Associates, Inc.
We developed civil engineering plans for Rancho Monte Alegre, a 3,000 acre exclusive large lot residential project in the Santa Monica Creek watershed above the City of Carpinteria. The project to date includes 2 miles of private roadway completed, under construction, or in design. 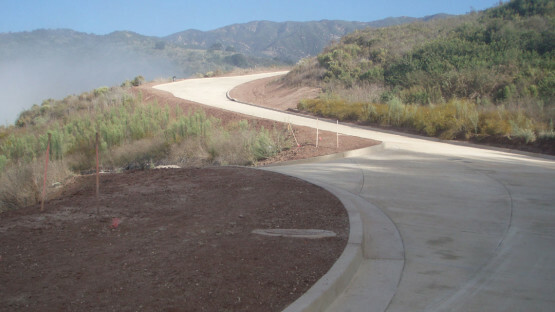 Much of the roadway is colored concrete or A.C. pavement with stone curbing and includes underground utilities, storm drainage facilities and a public water system being dedicated to the Carpinteria Valley Water District. With the present phase of construction, the improved road rises over 700 feet with views along Santa Monica Creek including a 110 foot bridge across the creek itself. The project will encompass 24 residential parcels varying in size up to 160 acres created from the original 39 parcels in the ranch. 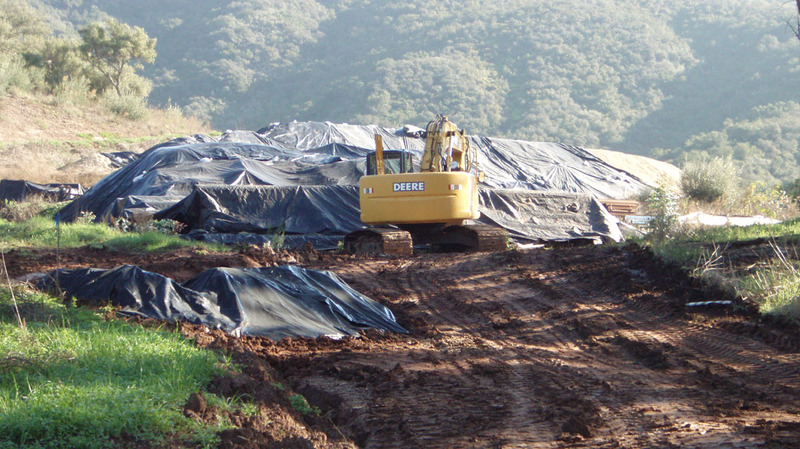 Planning and mapping is performed by L&P Consultants and construction staking has been provided by Cardenas and Associates Surveying, Inc., both Santa Barbara firms.